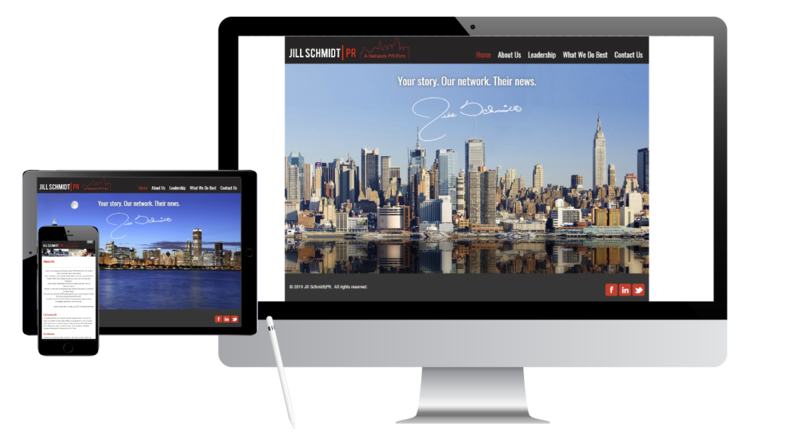 Jill Schmidt, PR - What A Great Website! We used movement and imagery on Jill Schmidt PR’s home page to hint at the scope of her work. A slide show displays three locations — New York, Chicago and Los Angeles. The images start in black and white and flow into full color. A visual way of saying that Jill Schmidt PR works coast-to-coast and night and day for their clients. The clean and simple interior design showcases their staff and special projects, making it easy to see who they are and how they work for their clients.